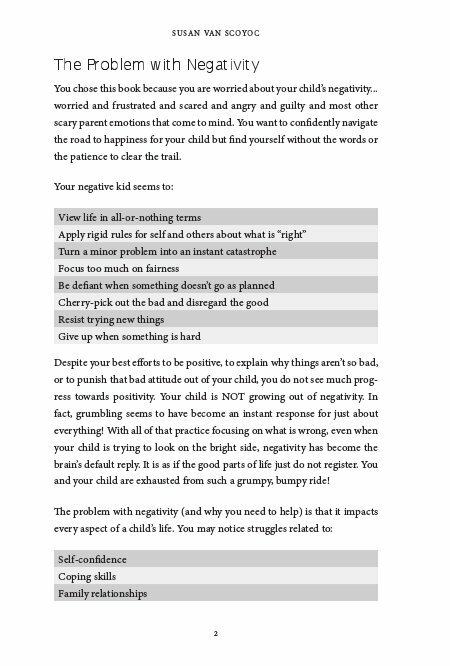 Does your child find something wrong with just about everything? Are simple requests to do chores or homework met with meltdowns? Have you run out of ideas for cheering on your rigid perfectionist? 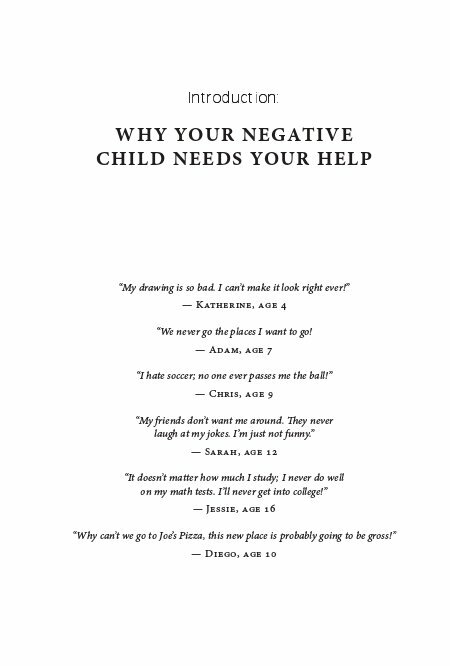 If your child's negativity is wreaking havoc in your home, Dr. Susan Van Scoyoc is ready to help! 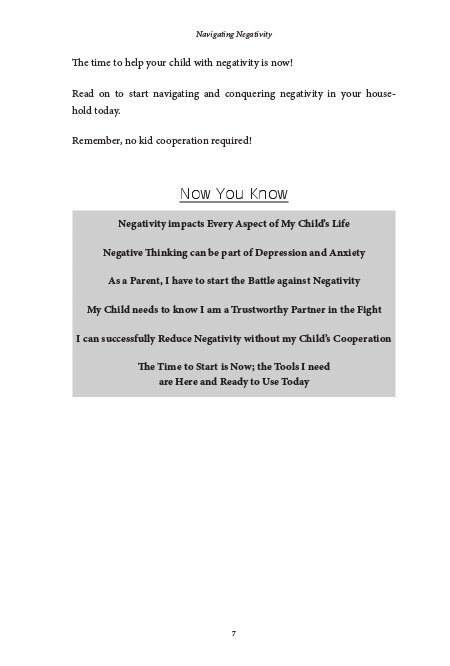 She is a parent and board-certified child psychologist with over 20 years of experience helping overwhelmed parents discover solutions for negativity. 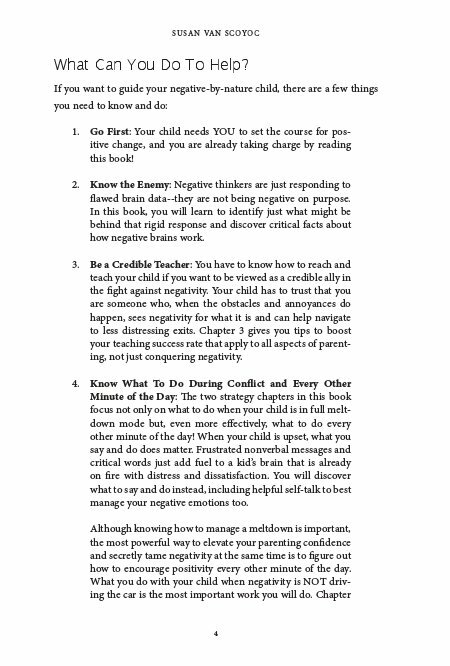 In this book, she expertly applies the most compelling research on self-regulation to the realities of today's parenting, helping you and your family embrace an optimistic new beginning. 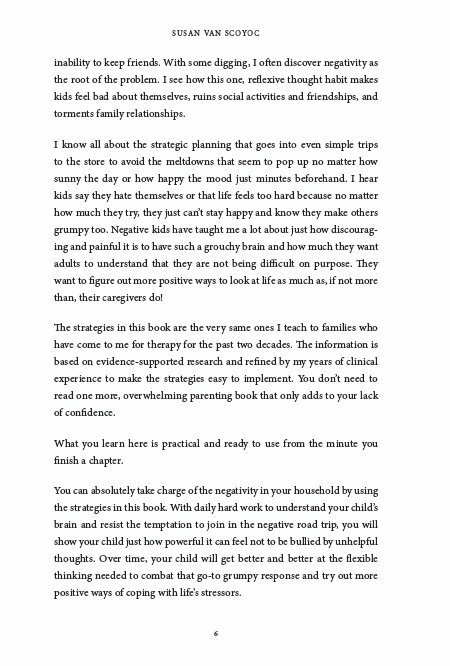 Discover practical, positive parenting strategies that transform your household from frustrated to flexible. No kid cooperation required! 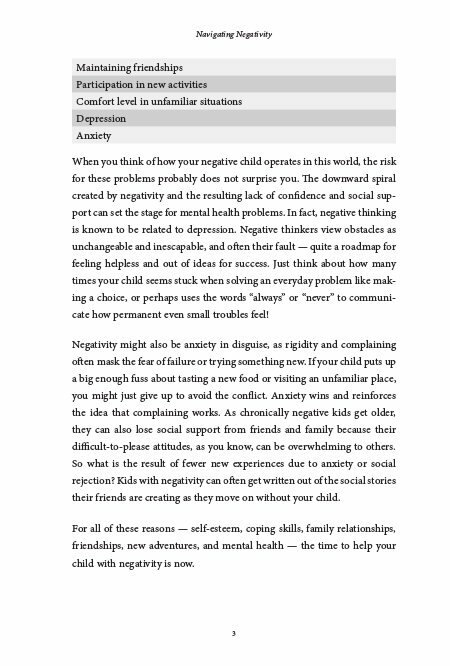 In Navigating Negativity: Practical Parenting Strategies to Reduce Conflict and Create Calm, you'll discover: • The devastating impact of unchecked negativity on relationships, self-esteem, and mental health • The automatic and flawed thought habits behind your child's persistent pessimism • Connections between anxiety and your child's battle with negative thinking • Why reassuring, logic, scolding and arguing don't work and what you can do instead • Simple but vitally important actions you can take in between blow ups to nurture peace, and much, much more! 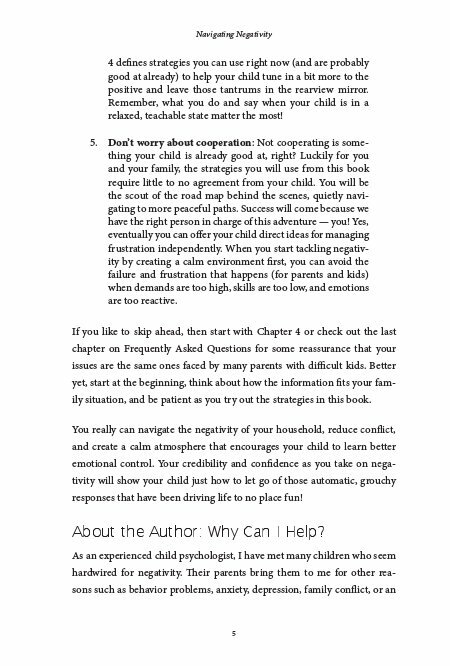 With practical techniques, trusted expert advice and strategies that don't require your kid's cooperation, Dr. Van Scoyoc's confidence-boosting book is your must-have guide to parenting a negative child. 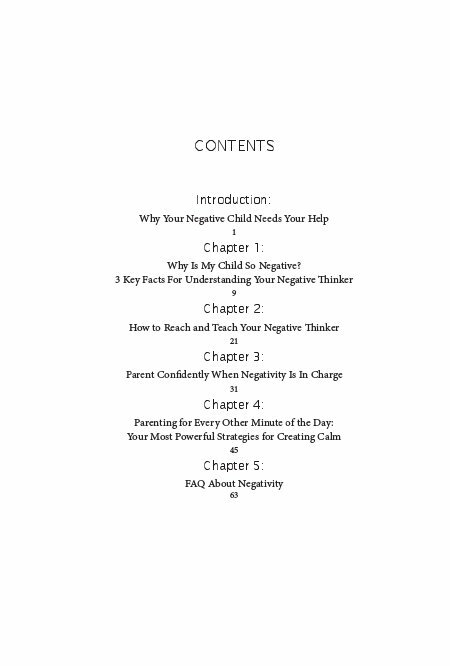 Buy Navigating Negativity to re-route your family life on a more positive journey today!